What Do You Get When You Cross a Cruise Ship and a Blimp? This. [Seinfeld voice] What’s the deal with airships? They hover over our biggest sports matches. They’re tragically intertwined with crashes and warfare. They make guest spots in films. But how many people have actually been on one? Not to mention the confusing terminology: a blimp is not a zeppelin is not a dirigible, people! 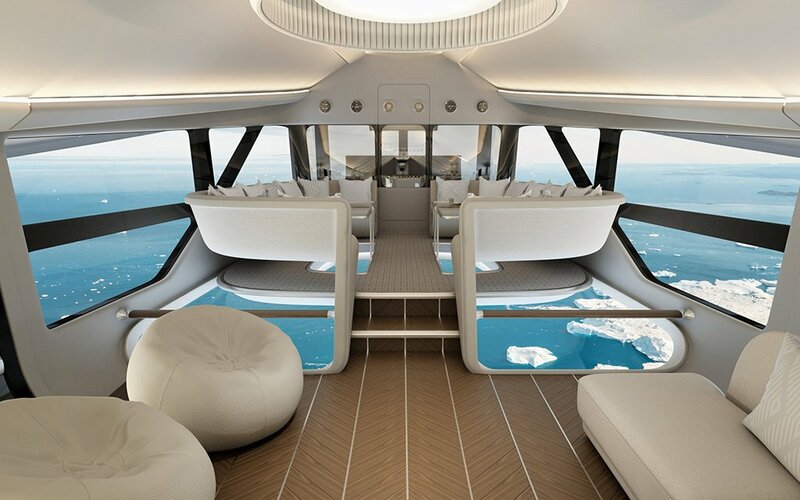 Helping answer these questions and more: Hybrid Air Vehicle’s Airlander 10, the unabashedly luxurious airship that wants to bring back the golden age of airship travel. 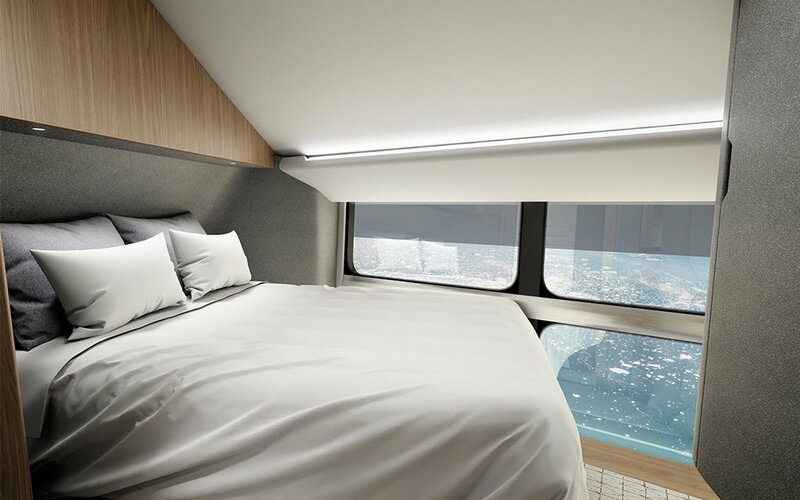 Outfitted by aviation and automotive design consultant group Design Q, the vessel is a grand tribute to the concept of slow, deliberate travel, with the nicest accommodations the troposphere’s ever seen. The Airlander 10 is unique even for an airship, putting to use a combination of helicopter rotors, wing aircraft and pressure-stabilized helium, all within a “frame” constructed from liquid-crystal polymer (Vectran) and carbon composites. In other words: It’s a hybrid. 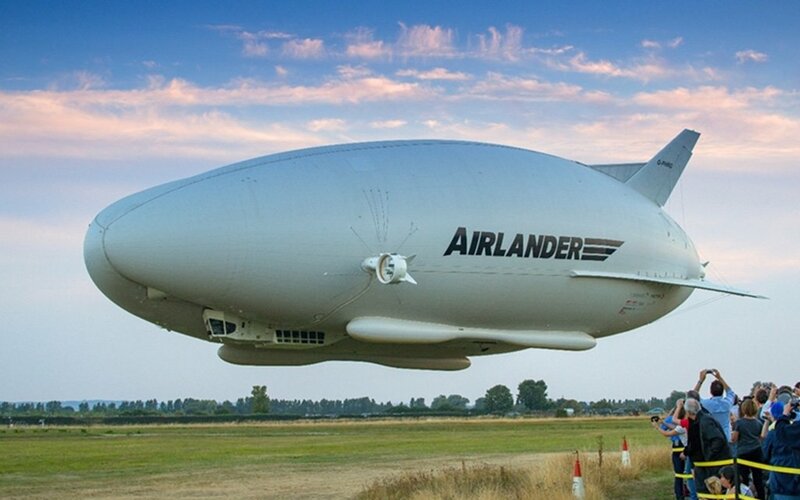 There’s no need for it to push itself; in fact, the Airlander has a top speed of 91 MPH. Yup, that’s it. Think of it more like one of those coastal train rides, or a high-end ocean cruise. And that’s why the future for HAV could be bright. This vessel only carries around 20 passengers, in addition to the crew. 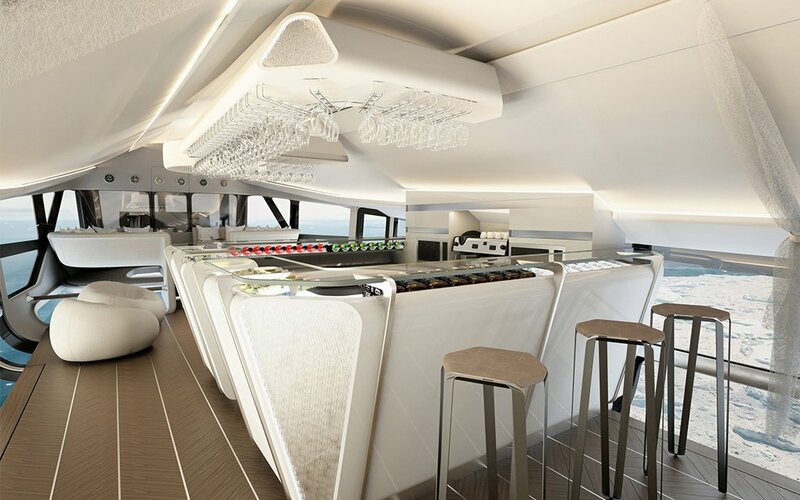 It’s not about cramming luggage into overhead compartments and swallowing a Benadryl — it’s about enjoying a relaxed three-day flight, having a drink while looking down through the Airlander’s glass floor upon verdant lands 16,000 feet below. All the ship needs to land is a flat surface … so you’ll be able to take a break from those airport smells, too. Stay tuned for updates here. The Airlander had a few miscues early on in development, but is currently completing 200 hours of incident-free flight.